Logitech G513 Gaming Keyboards review: What makes a good keyboard? I've put my hands on more keyboards in the last few years than I could ever imagine. Logitech, Microsoft, Corsair, and other companies have raised the bar on what we should expect from the keyboards we use every day. They may still be primarily QWERTY-lettered planks, but these companies have refined the experience, making the act of typing at least enjoyable if not pleasurable. But these keyboards have a lot in common. How much variance can you have from one plank to another? As I sit down with each keyboard, the first question I ask is, "what makes this one different?" And that's what I asked as I sat down with Logitech's G513 Carbon keyboards. The two are almost identical, but with one key difference. Bask in that great keyboard pun for a moment, and then I'll dig into what makes the keyboard stand out and whether that one difference is enough. 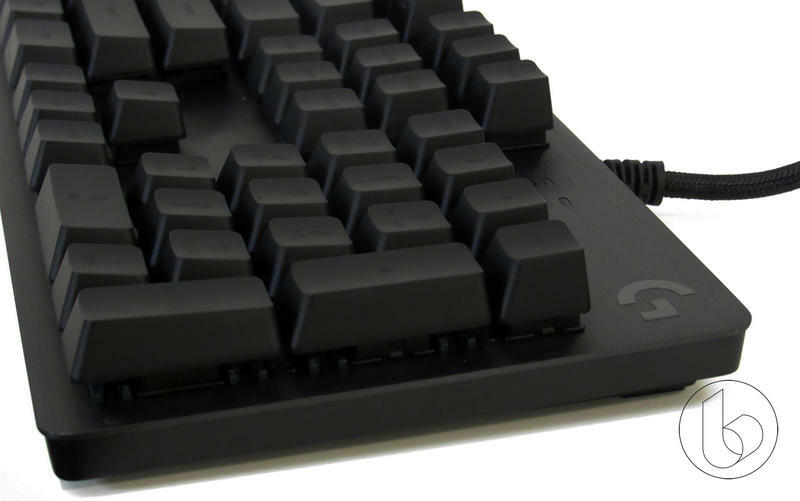 The G513 is a descendent of last year's G413 Carbon keyboard, a solid piece of equipment on its own. Since then, Logitech has seen fit to improve on the original and offer up an overall more pleasant experience. 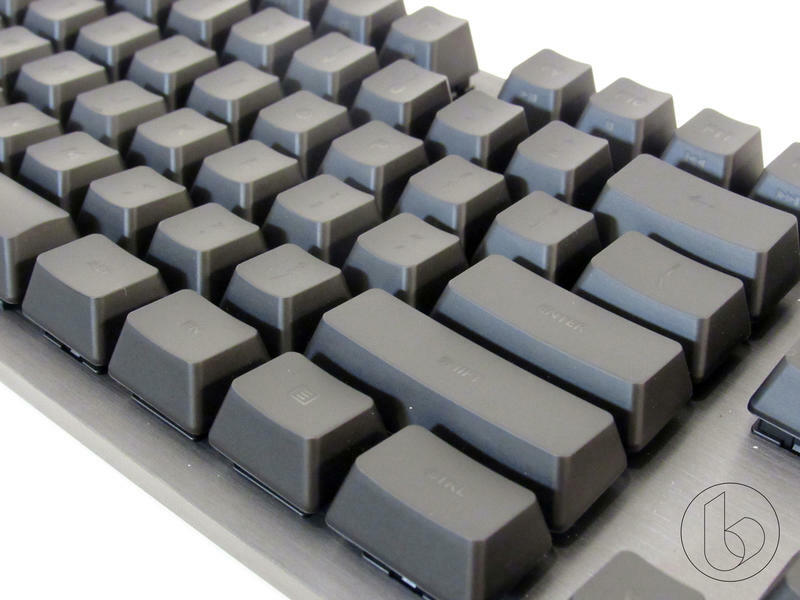 Like the G413, the G513 offers an aircraft-grade aluminum face with raised keycaps. This, over everything, is probably my favorite aspect of the keyboard because not only does it look high-tech and sets it apart from lots of other keyboards, it's far easier to clean. Keyboards get messy unless you wear a containment suit and use them in a clean room. Getting the inevitable hair, food, and other stuff out should be something keyboard makers think of. Raised keycaps make it almost a non-issue. A host of other features show how much Logitech is aiming this at the gamer crowd without forcing us to buy something ugly. On the under-side of the board, you'll find two cable guides. The U-shaped one toward the back of the keyboard is meant to act as sort of a mouse bungee, allowing you to lock a certain amount of slack in place without having to haul the whole cord along for the ride every time you move the mouse. There's also one down the middle of the keyboard, and this one I didn't get at first. This one is a headset cable guide. Instead of having to have a bunch of slack and a loose cord running around your keyboard, you can just run your headset under it, right up through the middle, where the headset is always going to be. 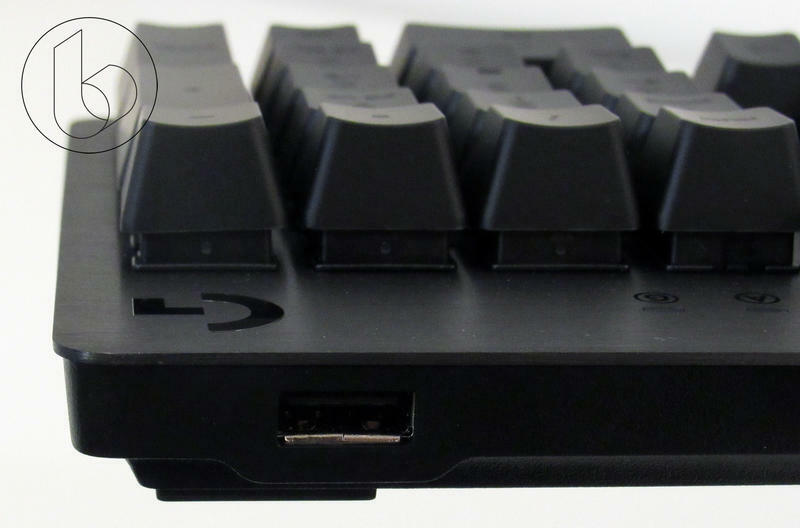 On the upper rim of the keyboard is a USB pass-through port. To use this, you'll need two USB ports to plug into, but it gives you an always-close usb port to plug your mouse into or just a nice, accessible place for whatever other USB device you might need to use. It doesn't save you any ports, but it does bring one close. 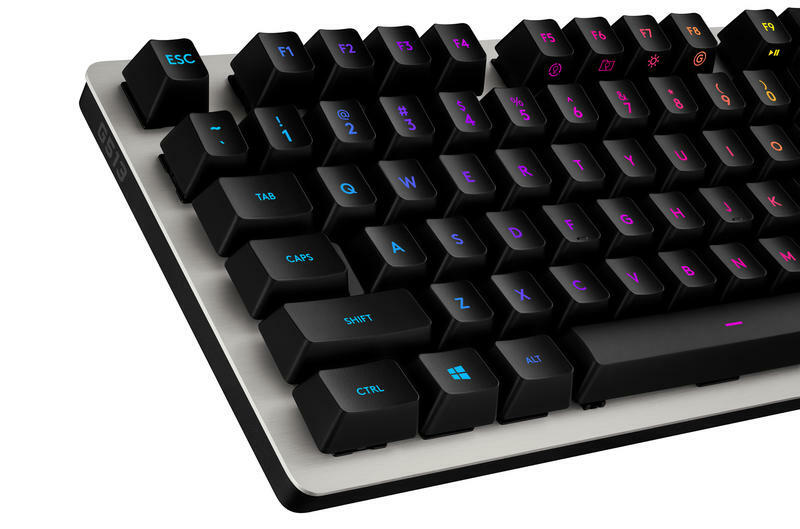 Along the Function Key row, Logitech has once again designated a set of keys as dedicated keys for turning on things like game mode and lighting, meaning that you don' have to have the Logitech Gaming Software installed to get some of that functionality. 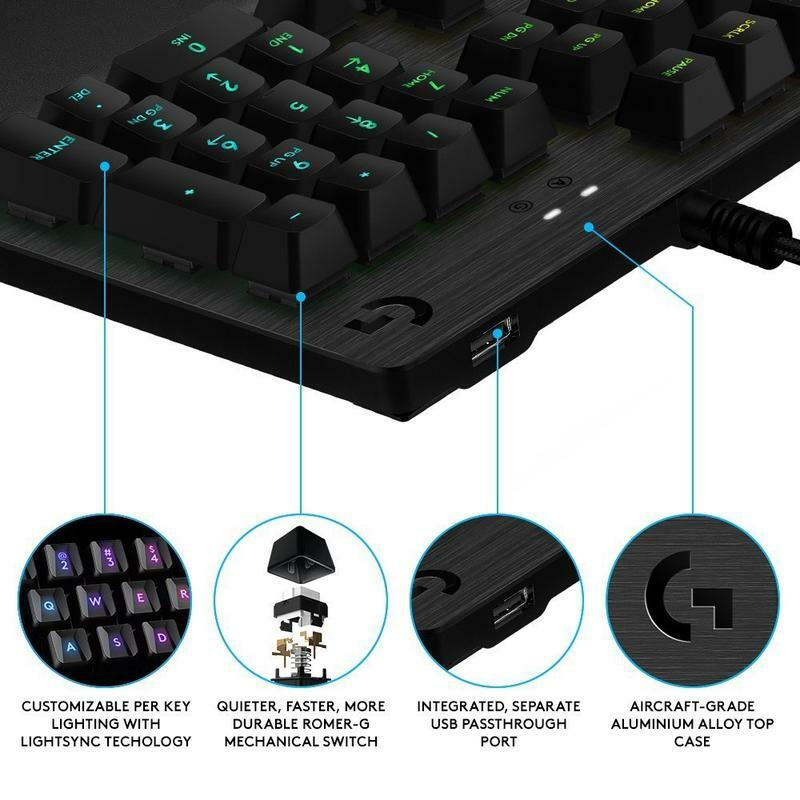 If this is a dedicated gaming keyboard for you, you might also enjoy the gaming-specific keycaps Logitech includes in the box to help you find the keys you need without going into Home Row mode first. Like the G413, the G513 offers LED-backlit keys. This time, though, instead of red or white, the company went for RGB-backlit keys. Pairing these with Logitech's RGB mice and speakers and syncing them all up looks very cool when you bring it all together. I do have a few issues with the keyboard, though. Logitech seems to have a goal of the keyboard both being a spartan affair and also keeping all the features of a fully-featured keyboard at the same time. Case in point: Media keys. Instead of putting dedicated media keys into the board, Logitech repeated what they did with the G413 and mapped them onto F8 through F12. I've been using media keys on keyboards for most of two decades, and turning using the media keys into a two-button affair doesn't feel good. You can swap the Function keys to put the alt functions first, but this is a gaming keyboard – we need some of those Function keys. I need my Quick Load and Quick Save. Whichever option you choose, it's an inconvenience. 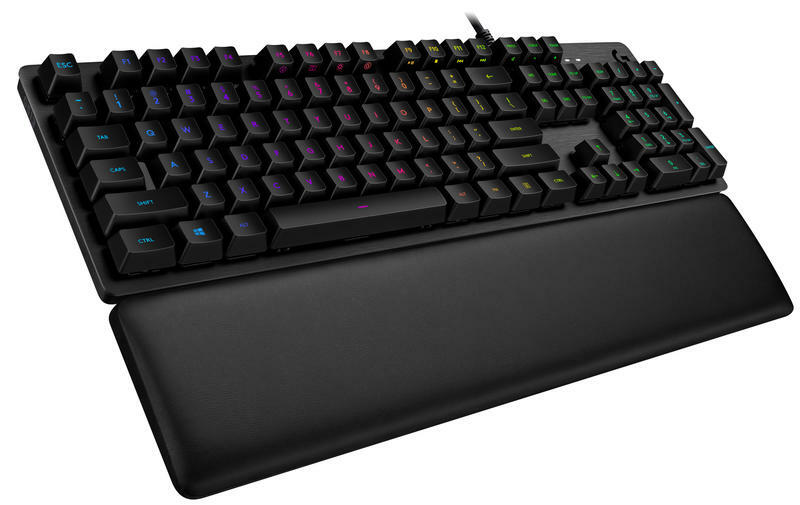 If Logitech was really going for a spartan feel, I'm also surprised they didn't go with a tenkeyless layout. 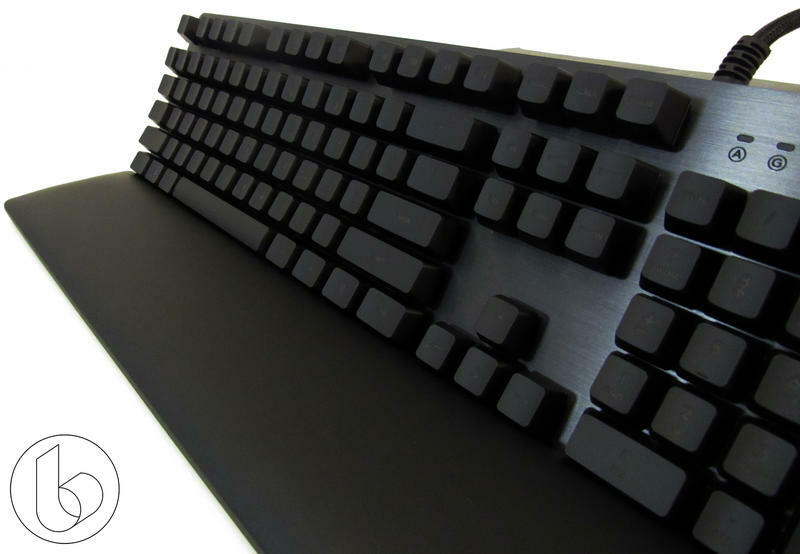 Burying the media keys inside the function keys would make sense on a TKL plank and add to the sleek look and feel. Finally, there's the key backlighting. It's the same high-quality backlighting I'm used to from Logitech, but the contrast between the plastic of the matte keys and the key lettering isn't very high, so if you have the lighting turned off, the lettering can be hard to see. I'm a touch typist, but not everyone out there is. This gripe is very personally specific, but I'd also really like to see companies start including Bluetooth connectivity even on their wired keyboards. I'm operating two computers from one keyboard on a daily basis, so Logitech's G613 and CRAFT keyboards are both great tools for my workday, which involves switching between a PC and Mac from moment to moment. That's not a gripe most people are going to echo, I think, but it's something that will keep the G513 from being a daily driver for me. There are two totally new aspects to the G513. The wrist rest, and the keycaps. 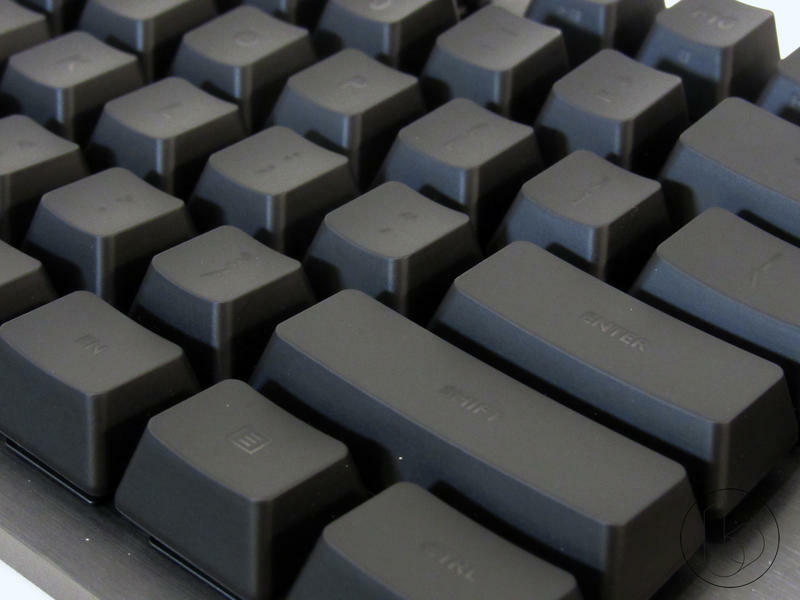 To give gamers options, there are two variants – Linear and Non-linear keycaps. The wrist-rest comes with both, so let's hit that first. I love the wrist rest. It's totally optional, and doesn't connect to the keyboard directly, but it's really good. It's light, and features the same headset guide in the same spot on the underside of the rest. It has six rubber feet to make sure it doesn't move. Most importantly, though, it's comfortable. It's massively comfortable. It might be my favorite part of the keyboard. The soft-touch leatherette surface is comfortable, feels durable (time will bear out whether that's true), and it doesn't pick up sweat like a plastic rest does. And if you're not going to use it, you don't have any hooks on your keyboard reminding you you've left something off. It's a really nice, thoughtful addition by Logitech to improve the comfort of the keyboard in a meaningful way. 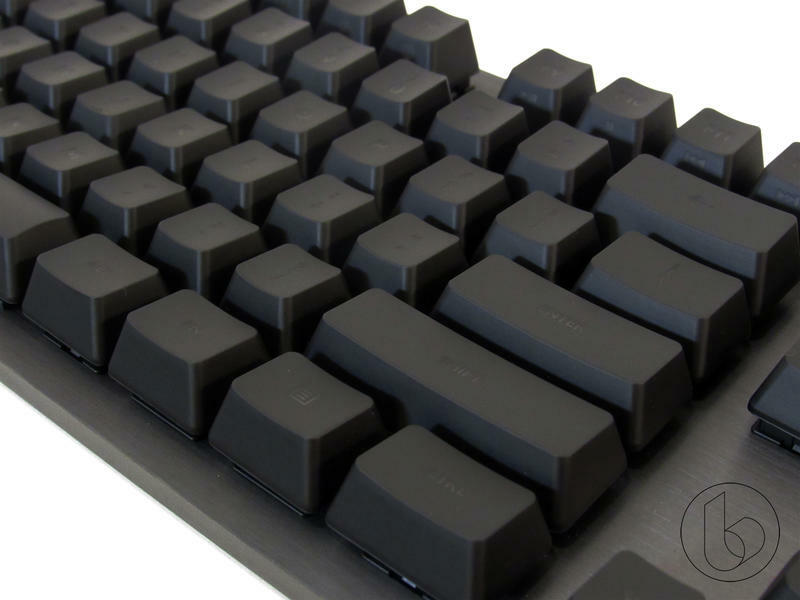 If you've been using Logitech mechanical keyboards at all in the last couple years, you're familiar with the standard "tactile" Romer-G mechanical switches. Not content to use the industry-standard Cherry MX switches, Logitech came up with its own version. They have a studier base than the Cherry switches, and push light up through the keys without it flooding all over the place under the keyboard. I kind of wish the light did flood out on these raised-key style boards, but they're still good, sturdy caps that don't wiggle as much as some other options. Now, Logitech has added a "linear" option to its lineup. Both types of keys ask for 45 grams of force to activate, similar to most varieties of Cherry switches, but requires only 1.5mm of push to activate. The big difference here is that the "tactile" keys have a distinct activation point, while the linear ones have a smooth movement. This is going to be largely up to your personal preference, and I highly recommend checking them out at a tech shop if you can. I personally found the smooth motion pleasant rather than the mushy I'd expected, but I also found myself accidentally activating keys more often because of the lack of tactile feedback. The last big factor with the G513 is the price. The board's price tag, hovering around $150, is what keeps me from recommending it. The G613 wireless keyboard and the G810 Orion Spectrum are both out there for less than $100. The G613 features low-latency wireless with both Logitech's proprietary Lightspeed and Bluetooth connectivity as well as dedicated Media and 6 "G" function keys. The G810 Orion Spectrum, meanwhile, keeps the media keys and RGB lighting but drops the extra "G" keys, while still being an attractive but customizable package. If you really dig the aluminum face with raised keys, it's a pretty good board, but the compromises combined with the price make the G513 a tough purchase to stomach. DISCLAIMER: Logitech provided us with the Tactile and Linear keyboards and we spent a month switching between them before writing this review.